UFO captured? Man says he has proof…. 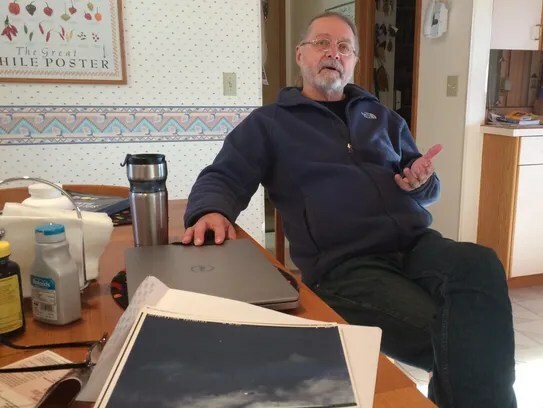 CLANCY, Mont.— For nearly two years Dr. Richard O’Connor has kept two cameras pointed at the sky with the deep hope and belief that something might be out there. And then, after nearly 280,000 photos captured by motion detection, it happened. 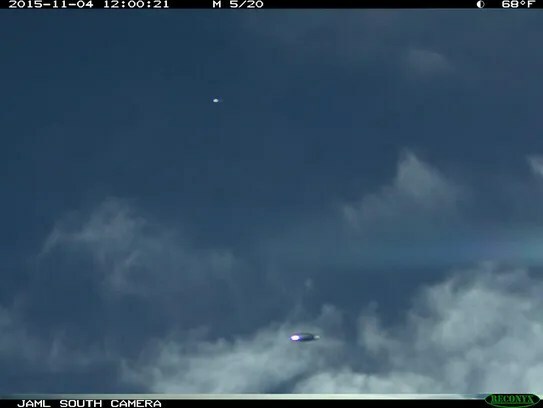 But O’Connor’s findings of what he believes are two unidentified flying objects has set off a barrage of email exchanges, some of them angry, in the community of UFO fans and experts. About noon on Nov. 4, his cameras captured five photos of something flying through the skies of Montana that is hard for some to explain. But his discovery has sparked some debate, leaving the doctor to find his own photo experts to determine what his cameras may have captured. The answers to this mystery remain up in the air. O’Connor comes by his fascination with UFOs honestly. He said that for more than 25 years he was friends with Jesse Marcel Jr., perhaps best known for being a longtime doctor in Helena. 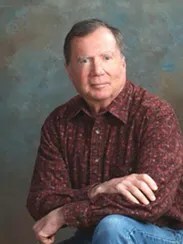 O’Connor, now retired, worked as an anesthesiologist at St. Peter’s Hospital in Helena. But Marcel may be even better known for something that happened to him as a child in New Mexico in July 1947. His father, Maj. Jesse Marcel, was sent by his base commander to investigate the crash of a UFO on a ranch outside of Roswell Army Air Field. He loaded some of the wreckage into his vehicle and drove it home to show Jesse Jr., who was then 10. They couldn’t make sense of what they were seeing. 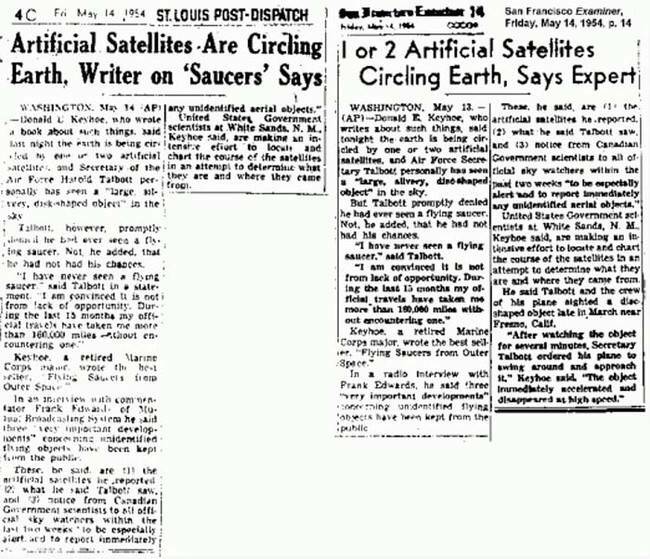 According to Marcel Jr.’s Sept. 1, 2013, obituary in the Helena Independent Record, The U.S. Army Air Corps issued a press release saying a “flying saucer” was found, but public uproar forced them to retract the statement and say a weather balloon had been found instead. Those who were at the crash site were then sworn to secrecy. But in the ‘70s Marcel Sr. and his son began speaking about what they had seen, believing the coverup was a grave injustice to the public. Marcel Jr. had a distinguished career not only as a doctor, but in the military as well. He was 76 when he died. And after knowing him for nearly a quarter-century, O’Connor deeply believes Marcel saw what he saw as a child. 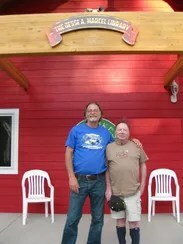 O’Connor, 60, even set up the Jesse A. Marcel Jr. Library on his rural property and his friend was there for its dedication. And then he installed two Reconyx Hyperfire PC 900 Trail cameras on the southeast corner of his house with the goal of educating the public about the UFO phenomena. When triggered by motion, the cameras, which are about 30 feet off the ground, shoot 20 photos at approximately 1-second intervals. He also posted a message on the Internet, giving the latitude and longitude of the cameras in the hopes that aliens would see it. “Come, let us take your picture,” he said, reasoning that if they had the capability to get here they would also have the ability to find people who are reaching out to them. The cameras were programmed to take photographs of moving objects. Among the 280,000 photos are a vast array of birds, squirrel tails and treetops dancing in the wind. And then on Nov. 4, O’Connor says he noticed something. “Basically what you see is a very symmetrical, smooth and reflective surface that appears to have his own light source,” he said. Neither the FAA, nor the Air Force nor NASA handle UFO calls anymore, an FAA spokesman said, adding they are referred to National UFO Reporting Center, an organization that investigates UFO sightings and/or alien contacts. It was founded in 1974 by Robert J. Gribble. The website features listings of UFO sightings by state. For instance, on Nov. 18, someone reported seeing three flashes of green light that lit up the entire sky after a power outage. On Nov. 11 in Great Falls, someone reported seeing a silent triangular object heading east to west before turning smoothly south and going out of sight. Massive in size. On Sept. 26, someone in Great Falls reported seeing a green glowing fireball. O’Connor, who says he has no knowledge of how to manipulate photos on a computer, forwarded his photos to NUFORC, which were there for a few weeks and then came a query to them from the Tribune. “I do it so people have a place to call if they see a UFO,” he said. The first review was heartening. O’Connor expressed his anger in an email to Davenport, saying he would get an unbiased photograph analysis. Davenport also suggests that O’Connor submit his photos to someone whose reputation he trusts. O’Connor has also offered to take a polygraph. O’Connor now plans to meet with various experts in photo analysis to get their take on his pictures. O’Connor recently received an assessment from a photo analysis from another UFO research organization. This person wrote, “This photo is an interesting one. The colors of the object resembles the surrounding blue sky and clouds. This would naturally occur with highly reflective silver objects. The fact it was 1/20 second frame rules out balloons or other man-made objects. It also indicates the objects decelerated and accelerated and held position for just one frame, as there’s no elongated motion line that would have occurred if the velocity was constant. O’Connor said he understands the skepticism of others. “They did not have the opportunity in their lives to know Dr. Marcel,” he said, adding that once he knew him and trusted him, his attitude changed. His said his biggest fear is that the truth will be covered up. Paracas Elongated Skull DNA Tests Not Human…. The Paracas skull mystery may have finally been solved. Scientists have been trying to pass these skulls off as cranial deformation. DNA tests using modern-day technology have finally been allowed on the Paracas skulls and the results are finally in. The geneticist commented on the peer group findings: “I am not sure it will even fit into the known evolutionary tree,” in fact he went on to express that the DNA was so biologically different they would not have been able to interbreed with humans. The skulls only contain one parietal plate, rather than two. The cranial volume of these skulls have been found to be up to 25 percent larger and 60 percent heavier than our human skulls, subsequently meaning they could not have been intentionally deformed through head cranial deformation. This is just the first stage of testing. The second stage will be replicating the results to guarantee their analysis before a final conclusions can be drawn. About the Paracas Skulls: In 1928 a Peruvian archaeologist, Julio Tello, stumbled upon a graveyard filled with the remains of humanoid individuals with the largest elongated skulls found anywhere on the planet. Over 300 of these skulls have been found. Ancient Aliens? Mysteries of the Salamanca Cathedral Astronaut Carving Revealed…..
Instantly, the mind questions what the eyes see. Theories of ancient aliens, time travel, the supernormal power of foresight, and many other ideas come to mind. And, although the world today still holds many mysteries, the mystery of the Salamanca Cathedral Astronaut has a much more down-to-earth explanation. Salamanca, Spain, is home to two cathedrals. The “Old Cathedral,” simply known as “Catedral Vieja,” which was constructed in about the mid-12th century. As such, it may be one of the oldest cathedrals in Europe. The other cathedral, known as the “Catedral Nueva” or “New Cathedral,” which is no longer new by today’s standards but was new when it was first called such. It’s on the New Cathedral’s entrance that the astronaut appears, running laterally, parallel to the entrance. He sits perched on a stalk complete with boots, helmet, and what appears to be a breathing apparatus on his chest with tubes stretching to a pack on the rear of his suit. He is grasping with his right hand what appears to be a vine acting as a harness of sorts running across his waist. His left hand is grasping a nearby leaf for support. His face reflects a rather bewildered expression. But, how could this be? Astronauts didn’t exist when the cathedral was constructed. It would appear that the carving is actually part of restoration that was done to the cathedral in 1992. At that time, the “Puerta de Ramos” (this is the name of the New Cathedral’s entrance) had seen significant damage over the past few centuries. The addition was purportedly added by stonemason Miguel Romero and possibly overseen by Jerónimo García de Quiñones, according to Ancient Code: Deciphering History Together. Following tradition, restoration on cathedrals often includes something from modern times, in this case, the restorers chose the figure of an astronaut. However, supporters of alternative theories believe the astronaut was indeed carved much earlier and that the restoration work merely repaired the damaged astronaut. The mystery lies in the fact the photos of the façade before the restoration and witness accounts of the Puerta de Ramos have become hard to find, adding weight to the controversy. The astronaut was damaged in 2010 by vandals, according to Ancient Code. The pictures in circulation showing the astronaut with a missing right arm and damaged face are pictures of the damage. The damage has since been repaired. The city harbors other anomalous carvings. Another such carving is part of the University of Salamanca’s façade. The façade is a very detailed and intricate stone carving depicting all manner of figures and designs. Within the carving is hidden a scull with a frog on top of the head of the skull. This carving is rather old as the façade was commissioned in 1529. It is believed to represent Prince Juan, who died at the young age of 20 in 1497. The frog is believed to represent the physician who treated him, according to the Cultural Travel Guide. Another “Easter Egg” carving is very close to the astronaut and is situated on the same entrance to the New Cathedral. Dragons are often depicted in cultural carvings like these discussed. But, this particular dragon stands out because he appears to be consuming an ice cream cone with three scoops grasped in his left hand. The ice-cream eating dragon is another example of the 1992 restoration work. 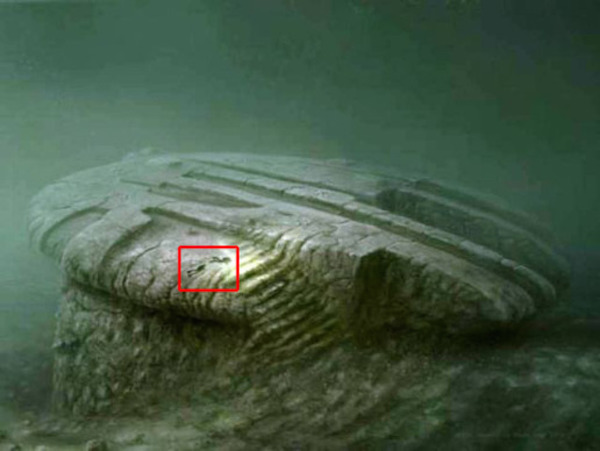 Is the Baltic Sea Anomaly a 14,000 year old alien spacecraft that crash landed? In what seems to come straight out of a Star Wars film, something like a crashed Millennium Falcon has been spotted at the bottom of the Baltic Sea. The image first appeared on the sonar of Ocean X, a private treasure hunting company, a couple of years ago. You can see its strange and artificially circular shape. It looks something like a UFO. Also note the streak marks behind it. Look at the way they are shaped….it looks like whatever this thing was crashed and skidded along the ground before coming to a stop. The dive team that explored the sunken object also explained how the object appeared to have steps leading into an egg shaped entrance. 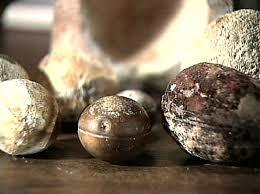 Parts of either the object or rock that had formed around it were dated to be around 14,000 years old. Still, some experts say this could completely be a natural geologic rock formation. But, to me at least, the way it stands out on a sonar scan, the steps and entrance the divers note, and the apparent skid marks that trail the object… a natural geologic rock formation seems like an unlikely culprit. Just what is this object laying at the bottom of the Baltic sea? 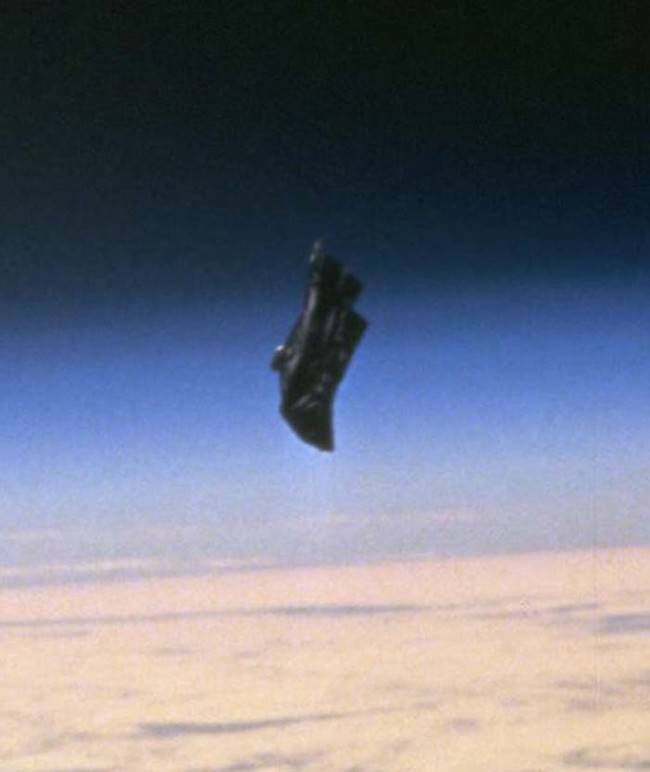 Could it be an alien spacecraft that crashed long ago? Alien Nuclear Wars Might Be Visible From Earth….. In a recent New Yorker article, the nuclear historian Alex Wellerstein collected testimony from several people who saw, firsthand, the flash from the first successful detonation of the atomic bomb, at the infamous Trinity Test, on July 16, 1945. Wellerstein has a writer’s feel for quotes and anecdotes. According to one general, the flash was a “golden, purple, violet, gray, and blue light” that illuminated “every peak, crevasse, and ridge” of a nearby mountain range, “with a clarity and beauty that cannot be described.” Wellerstein notes that several eyewitnesses described Trinity’s light as “cosmic.” This was apropos, he says, for nowhere else, “except in the interiors of stars do temperatures reach into the tens of millions of degrees,” as they do during a nuclear explosion. A team of astronomers recently tried to determine whether Trinity’s light might be cosmic in a different sense. The Trinity test involved only one explosion. But if there were many more explosions, involving many more nuclear weapons, it might generate enough heat and light to be seen from nearby stars, or from the deeper reaches of our galaxy—so long as someone out there was looking. And so, the thinking goes, maybe we should be looking. If every intelligent species eventually stumbles on nuclear technology, and not all of them manage it well, then it might be possible to spot an apocalypse in the heavens. Or several. There are tens of billions of galaxies in the observable universe, each one a sea of stars. When astronomers watch these stars closely, they see them wobbling, the way our sun wobbles when its planets spin around it, tugging on its center of gravity. Astronomers also see these stars dimming ever so slightly, as though objects were passing in front of them, and this dimming occurs at predictable intervals, as though these objects were moving around the stars in regular orbits. For these reasons and others, astronomers now believe that nearly all stars play host to planets, and they are making plans to image these planets directly, by catching the faint light they give off with huge, ultra-sensitive telescopes. What will this light tell us? A remarkable amount, it turns out. Light encounters all kinds of molecules as it makes its way through the universe, and it keeps a close record of these encounters, in its spectra. If sunlight were to beam through Earth’s atmosphere, and then out into the stars, it would travel with this detailed chemical record in tow. If, after some millennia, this earth-kissed light fell into a distant astronomer’s telescope, that astronomer would be able to determine what sorts of chemicals were present in our planet’s atmosphere. They would know that water vapor was present, and life too, because Earth’s atmosphere contains methane gas, breathed out by the trillions of organisms that live on its surface. Indeed, it’s precisely these sorts of “biosignatures” that Earth’s astronomers hope to find in the atmospheres of extrasolar planets. Light from extrasolar planets might also tell us whether our universe is home to other tool-making beings. After all, some of our pollutants leave behind chemical traces that would never occur naturally. If we glimpsed these pollutants in a distant planet’s atmosphere, we could be reasonably certain that technological life lived on its surface at one time or another. And according to Adam Stevens, Duncan Forgan, and Jack O’Malley James from Cornell’s Carl Sagan Institute, we might be able to know whether they used their technology to destroy themselves. In July, Stevens, Forgan, and James published a paper that asked what a distant, “self-destructive civilization” might look like through the business end of a telescope. To do so, they gamed out several dystopian science fiction scenarios in great detail. They calculated the brightness of the gamma rays that would flash out from a massive exchange of nuclear weapons. They asked themselves what would happen if an engineered pathogen ripped through a large population of human-sized animals. What gases would fill a planet’s atmosphere, if its surface were strewn with rotting corpses? And would those gases be detectable across interstellar distances? I asked Jill Tarter what she thought of the paper. Tarter is the former director of the Search for Extraterrestrial Intelligence Institute and the inspiration for Ellie Arroway, the heroine of Carl Sagan’s Contact, played by Jodie Foster in the film adaptation. Tarter told me the paper was “getting a bit of buzz” in the SETI community. But she also urged caution. “The problem is the signatures are detectable for cosmically insignificant amounts of time,” she said. Distant stars burn for billions of years, sending a constant stream of light toward Earth, but the flash from a nuclear war may last only a few days. To catch its light, you have to have impeccable timing. To beat odds like that, you’d need to take a detailed census of the galaxy. You’d need to eavesdrop on billions of planets, and for long stretches of time, and the tech for that kind of survey just doesn’t exist yet, and won’t for a while. But it’s conceivable, in principle, and that itself is a miracle of human ingenuity. It’s wild to think that we may one day know something about the various fates that await beings like us. And it’s a useful prod toward deeper thoughts, about the sorts of flashes we are starting to send into the cosmos, especially this year, as we mark the 70th anniversary of the Trinity test. 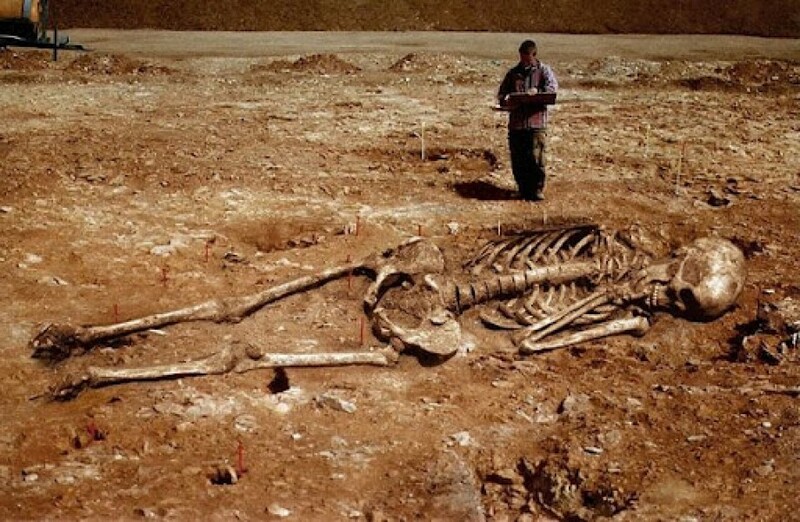 Burnt ‘Alien Body’ Found After Meteor Explodes.??? 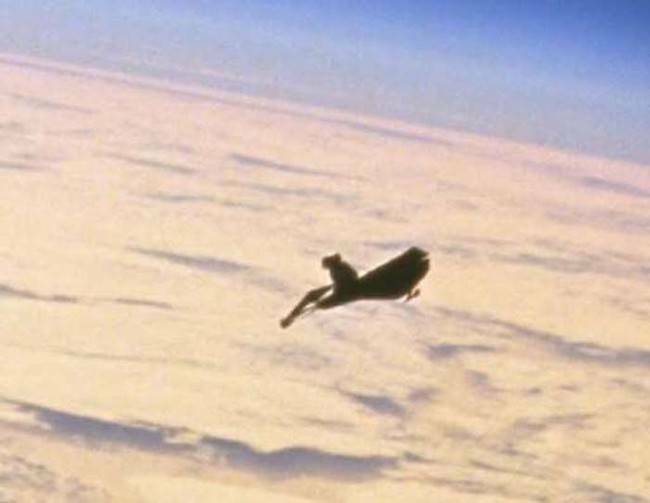 You might think that this is simply the remnants of a meteor that exploded on Earth but some UFO hunters are convinced it is actually a burnt alien body. The charred remains form some kind of alien shape – if you are to believe extraterrestrial expert Scott C Waring – and they were discovered when the meteor fell to Earth. Offering the use of words that people used to described the charred rock/alien as proof, Waring is convinced the truth is being kept from us. As if that wasn’t all the proof we needed to finally find out if we are alone in the universe or not, Waring also claimed that the shape was definitely alien. He added: “Now this was a such a powerful meteor that fell that power everywhere nearby blacked out, but I want to say this looks like ancient alien technology. Definitely alien technology. Not a rock. Out of Place Artifacts – “2.8 Billion” Year Old Sphere’s…..
For more than three decades, miners at the Wonderstone Silver Mine near Ottosdal in the Western Transvaal, South Africa, have been extracting out of deep rock several strange metallic spheroids. So far at least 200 have been found. In 1979, several were closely examined by J.R. McIver, professor of geology at the University of Witwaterstand in Johannesburg, and geologist professor Andries Bisschoff of Potsshefstroom University. The metallic spheroids look like flattened globes, averaging 1 to 4 inches in diameter, and their exteriors usually are colored steel-blue with a reddish reflection, and embedded in the metal are tiny flecks of white fibers. They are made of a nickel-steel alloy which does not occur naturally, and is of a composition that rules out meteoric origin. Some have only a thin shell a quarter of an inch thick, and when broken open are found filled with a strange spongy material that disintegrates into dust on contact with the air. What makes all this very remarkable is that the spheroids were mined out of a layer of pyrophyllite rock, dated both geologically and by various radio-isotope dating techniques to at least 2.8 billion years old. Mystery Spheres Stump California Space Institute? Stones, which are found in rock scientists say are billions of years old- and which rotate on their axes, captured the attention of Mr. John Hund of Pietersburg fifteen years ago…. While playing with the stone on a very flat surface at a restaurant one day, Hund realized it was very well balanced. He took it to the California Space Institute at the University of California to have tests done to determine just how well balanced it was. “It turned out that the balance is so fine, it exceeded the limit of their measuring technology and these are the guys who make gyrocompasses for NASA. The stone is balanced to within one-hundred thousandths of an inch from absolute perfection,” explains Hund. Nobody knows what these stones are. One NASA scientist reportedly told Hund that they do not have the technology to create anything as finely balanced as this. He said the only way that either nature or human technology could create something so finely balanced would be in zero gravity.